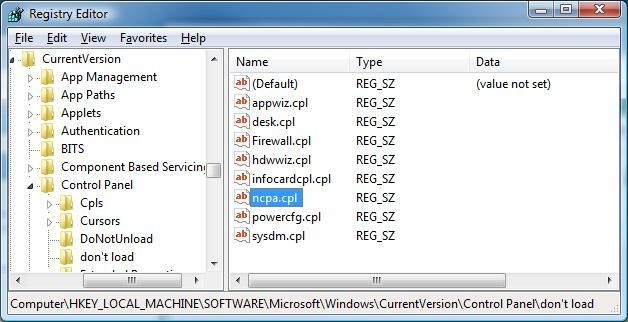 In vista the ncpa.cpl file has been purposly removed from apearing in the control panel. You can renable it by deleting a registry key. "HKLM\SOFTWARE\Microsoft\Windows\CurrentVersion\Control Panel\don't load\" is where microsoft puts cpls that it does not want to apear in control panel. You can delete "HKLM\SOFTWARE\Microsoft\Windows\CurrentVersion\Control Panel\don't load\ncpa.cpl" and you will then have a "Network Connections" icon in your start menu.